This entry was posted in 2012 election, American Culture, Balanced Budget Amendment, Capitalism, Congress, Constitution, economy, history, Social Security and tagged 2012 elections, capitalism, congress, conservatism, constitution, constitutional compliance, domestic tranquility, economy, enumerated powers, government, Politics, Republican, social insurance program, social security act, social security act of 1935, Socialism, supreme court, Taxes, Tenth Amendment, tyranny. Bookmark the permalink. The citizenry votes neither on legislation (Article I, Section 1) nor on amendments and legislation and Acts cannot amend the Constitution. (Article V). Senators and or Congressmen nor any other government Official is obligated to be directed by the citizenry (Article VI, clause 3). Correct, thank you, but I would add vote to NOT reelect an Incumbent that has dishonored the 1787 Constitution’s Oath of Office..
BTW the vote is the only “constitutional” power or force the citizenry has against government Lawmakers, elected Officials. The citizenry vote can be used to “force” elected Incumbents out of office. Thank you for your comments. Please understand that the thrust of the piece is to provide solutions in an effort to inspire people to act to fix the problem of Congress overstepping its bounds, legislatively and financially. There is little doubt with a plain reading of the Constitution that the Social Security Act was adopted by “… powers not delegated to the United States by the Constitution …” pursuant to Article X of the amendments. Article X further states that such powers ” … are reserved to the States respectively, or to the people.” The Constitution is silent on specifically how the people excercise such powers in the case where Congress assumes powers not found in the Constitution. Presumably, this matter was left up to the people in the sovereign states to decide which is a topic for another discussion. It is true that the people literally cannot make Congress or their representaives do anything. However, the people, as you have said, do indeed have the absolute power manifest in their vote in each election cycle to choose candidates that best represent them, which may include discharging those incumbents who do not. Well, citizens power over federal government Officials is explicit and written in only one sentence; Article, Section 2, clause 1, “The House of Representatives shall be composed of Members chosen every second Year by the People of the several States,”. Until 1913 and the unconstitutional 17th Amendment the only federal Officials the citizenry’s vote elected were Congressmen. The citizenry’s vote does not elect a President and never has, the electoral college elects the President; Amendment 12, ratified 1804. Citizens are supposed to be smart enough to add a few sentences together; for instance – all elected Officials, and all Judges, are “required” to take an Oath, or affirm, to support the 1787 Constitution (Article VI, clause 3). The wording of the Oath does not say 1787, but uses the word “this” Constitution. As the Oath is written in the 1787 Constitution, then the word “this” cannot mean anything other than the 1787 Constitution. Now consider the citizenry cannot legislate (Article I, Section 1), or amend the Constitution (Article V), leaves the citizenry only one “constitutional” reason to elect a Congressmen, that Congressmen take and honor the Constitution’s Oath of Office. The Constitution limits the powers of the federal government. “In the case where Congress assumes powers not found in the Constitution”, the Congress becomes irrelevant and the sovereign States or the people, in that order, are in power. Such power may include simply ignoring Congress. In the case of Social Security, such controversy was, in part, why ten states continue to enjoy being excluded from the federal Social Security Act. Although off the topic, I would be interested in learning a little more about the basis for the claim that 17th Amendment to the Constitution is unconstitutional. In answer to your question David. An amendment cannot be unconstitutional because it becomes a part of the Constitution. The seventeenth amendment did change the balance of power established by the Founders. Once Senators began to be chosen by popular vote and were no longer accountable to the state legislatures for tenure, their loyalty shifted to their political party, in effect cancelling the effectiveness of the Tenth Amendment. The 14th, 16th, and 17th amendments are all unconstitutional for the same reason, they are repugnant to the 1787 Constitution, and the 19th is a disaster. BTW just saying “no” or standing up will likely get you mowed down, Waco 1993. Your fellow citizens indicted and convicted Waco survivors, along with many others on income tax charges. Allan, An amendment cannot be unconstitutional because it becomes a part of the Constitution. The 14th, 16th, and 17th amendments substantially changed the intent of the Framers, as all the amendments did. That’s why we call them amendments and is why we have Article V. You need read Article VI again. We disagree, the 1787 Constitution is written in stone, left to posterity, and cannot be amended away. Jerry – I quote Article V often but have a different understanding of the purpose of amendments than you express. There is no need to have a Constitution if it can be amended away or eroded by Supreme Court decisions. 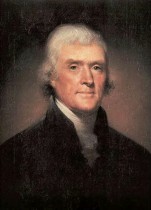 The purpose of an amendment is to delegate the federal government a necessary, but unforeseen in 1787, future power. There is no need ever to change the body of the 1787 Constitution. The third branch of the federal government, the judicial branch, is set forth pursuant to Article III of the Constitution, “The judicial Power of the United States, shall be vested in one supreme Court … ” whose decisions serve to adjudicate certain Constitutional controversies. The Supreme Court has no legislative or executive powers, nor the power to interpret the Constitution, or to amend it, or to create new constitutional rights, or to destroy old ones. Although, the doctrine of Judicial Supremacy is not contained in the Constitution, the court expanded the original jurisdiction of the Supreme Court in the case of Marbury v. Madison, 5 US 137 (1803), whereby the court claimed the authority to evaluate challenged legislation and other matters to determine its constitutionality, and to nullify any laws the court found to be unconstitutional. Pursuant to Article III, Section 1, justices “ … shall hold their Offices during good Behaviour”. Accordingly, abuses of Judicial Supremacy or other act proven to be other than “good Behaviour” could result in articles of impeachment voted by the House of Representatives, and, if impeached, the Senate would conduct a trial to determine the party’s guilt or innocence. “A Law repugnant to the Constitution is void.” With these words written by Chief Justice Marshall, the Supreme Court for the first time declared unconstitutional a law passed by Congress and signed by the President. Nothing in the Constitution gave the Court this specific power. 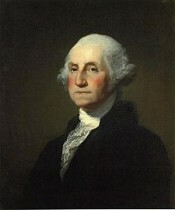 Article VI, clause 3, “The Senators and Representatives before mentioned, and the Members of the several State Legislatures, and all executive and judicial Officers, both of the United States and of the several States shall be bound by Oath or Affirmation, to support this Constitution; but no religious Test shall ever be required as a Qualification to any Office or public Trust under the United States.” NOTE “this” Constitution is the 1787 Constitution. Who or what entity is obligated to hold Senators and Representatives and the Members of the several State Legislatures accountable to the above Oath and by what method?